Slam Poets Muslim Girls Making Change are Going Places | The Kids Beat | Kids VT - small people, big ideas! It's been a busy few months for the quartet of teenage slam poets known as Muslim Girls Making Change. The rising high school juniors from Burlington and South Burlington — Balkisa Abdikadir, Lena Ginawi, Hawa Adam and Kiran Waqar — have performed at ArtsRiot, the Unitarian Universalist Society, the Vermont Comedy Club and the Flynn Center for Performing Arts. They've been featured on the local news and on National Public Radio's "On Point." This month, the 15- and 16-year-olds will compete as a Young Writers Project-sponsored team in the 19th annual Brave New Voices International Youth Poetry Slam Festival in Washington, D.C. The five-day event, which runs from July 12-16, will host thousands of youth poets from around the world for workshops, showcases and a poetry-slam competition. Hawa refers to the month leading up to the competition as "crunch time." 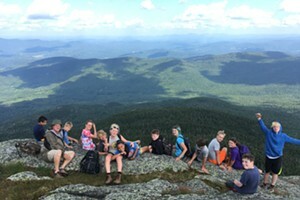 The four teens have been meeting with their coaches three times a week, editing existing work and writing new material. 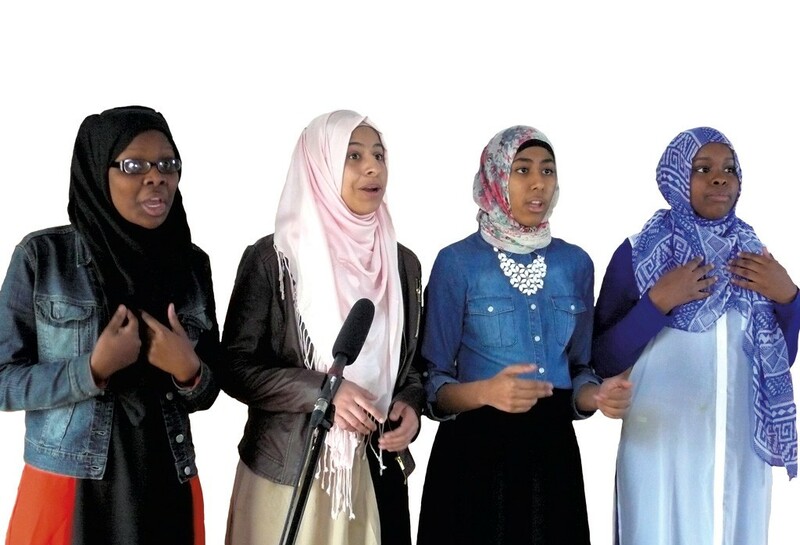 They're planning to bring a dozen finished poems to the competition, some of which will be performed solo and others as a group, like "Wake Up, America," a piece that powerfully challenges Muslim stereotypes. "Sometimes we need to just sit back and realize where we've gone," Hawa says of the group's success. "It's really fun." To learn more about muslim girls making change, visit youngwritersproject.org/bnv2016. To learn more about the Brave New Voices International Youth Poetry Slam Festival, visit youthspeaks.org.